If you have not tried affiliate marketing, you are clearly missing out. Not only are you missing on the chance to be promoted by thousands of affiliates. But you are also missing out on the thousands of sales that you can make in the process. Today, let’s look into 10 things that ecommerce brands need to know about affiliate marketing. Affiliate marketing is as old as search engine optimization and the dawn of Internet marketing. Yet, so many brands don’t do it. In fact, some business owners may even be afraid of the idea of implementing it thinking that it will just add another layer of complication to their online business. Little did they know, affiliate marketing is not that complicated. But that’s only if you know how to implement one without the horrors of manual coding and managing payments. Today, there are several affiliate marketing softwares in the market that you can use to set up your affiliate program. These softwares offer a system where you can recruit, track and pay your affiliates in one secured dashboard. The best part is that it allows the affiliates to sign up and get their own exclusive dashboard where they can view their stats. With that, it is really not that complicated to implement. Did you know the secret behind the growth of the biggest brands on the Internet? It is affiliate marketing. Take PayPal for example. PayPal started as an online payment processor back when only a limited number of people make transactions online. They know that their technology is new and thus, it will take some time to get used to. Because of this, PayPal implemented a system where they reward people for referring people to their site. They reward them with cash for every person that signed up to their website. And the result was a massive success. To date, PayPal has as much as 1 billion users all over the world. The same is true for Uber. Uber is a transportation app that allowed drivers to connect to passengers through GPS. In the beginning, they did not have as much drivers or users. So what they did is that they rewarded drivers immensely just for joining and completing rides. Soon enough, the word about their rewards got around and they got more drivers in the process. They did the same with their passengers as well. They reward new users with free rides and discounts for every person they refer to the app. This is their way of encouraging more people to use the app thus increasing the number of people that uses it. This is what affiliate programs are all about. It is about recruiting people who can do the promotion for you so that you don’t even have to do the promotion yourself. Some brands think that affiliate programs need to be complicated. After all, there are so many marketers that add the idea of pre-launches, funnels and the likes before you can launch a program. But you don’t need any of that. You can launch a simple affiliate page claiming to pay people or reward them for referring people to your site, promote that and that’s it. Don’t get me wrong. Pre-launches can be helpful. It is especially useful if you post your offer in joint venture forums where most marketers flock. But it is not necessary. So if you can have a pre-launch, that’s good. If not, that’s okay too. So what’s a pre-launch? A pre-launch is where you release a series of marketing materials before you launch your product. This gets the marketers ready to promote your product come launch time. Usually, this will be comprised of a unique link for affiliates along with a contest with premium prizes. While this can attract top affiliates in a niche. You don’t need to launch one especially if you are on a limited budget. If you’re like me and you have learned about affiliate marketing from joint venture forums, you may have this idea that an affiliate program needs top JV partners to be successful. In a sense, that is partially true. This is because once you reach that stage where top JV partners are promoting you, you can be considered successful. However, it is not the only key to success. This means that if you get 1 million regular affiliates versus 5 JV partners, you can still be considered successful. JV partners are often recruited in pre-launches. This is where potential affiliates sign up and create preliminary marketing materials for your products even before it is launched. This explains the reviews once a product is launched even if it is just the first day. The product has already been released to JV partners so that they can have the first take on promoting it. But for an affiliate program, JV partners are optional. You need to focus more on having better products or providing better services along with properly promoting your affiliate program. That’s all you need to do. JV partners are great but if you don’t have the budget to have a prelaunch page, you can just skip it. From here, you may have realized that launching an affiliate marketing program need not be complicated. Another thing that you can eliminate from the list of requirements is an email series. This is the messages that you send to your affiliates in order to encourage them to sell your products. Don’t get me wrong. This has its place in email marketing. But I found that making email broadcasts is far better than having a premade email series. Why is a broadcast better than a series? This is because the message is sent one-time and it is timely. This means that you don’t send a new series to every person that joins your list – that’s impersonal. Instead, you send a message when you need to inform them about something and you stop there. I found that this is the method that trusted online brands do. While they may have a premade welcome message, they skip the series and replace it with a broadcast instead. Affiliate marketing in the simplest sense is a way of recruiting other people to promote your site. How do you know? Well, they are successful if they managed to refer some new people to you. With this, affiliate marketing can be considered as the same as referral marketing and thus, you can use some referral software to launch your program. There are different referral softwares that you can choose from. What you must look for is an intuitive interface that doesn’t have a high learning curve and can help you launch your program in a few clicks. Tracking and analytics are also important. You need a system where you will be able to track you affiliates and see how well they are performing. This along with a dedicated dashboard for each user will help your affiliates know about their own performance so that they may tweak it accordingly. Most Ecommerce marketing websites I know give away free coupons. You can see this either in their optin form or as an announcement message at the top of their website. Free coupons in general are okay. This encourages more people to sign up to your optin page and get more people into your funnel. But if you are giving away these free coupons without the act of promotion, that’s where you miss out. You see, you can give these coupons away in exchange for people’s contact details. This is what most referral programs do. They give away coupons as a referral incentive for not only signing up but also for referring people to a website. This way, you get more than one lead for every coupon you give away. That’s more chances of reaching out to your customers and closing some sales. Referral programs are different from a typical affiliate program because it recruits customers instead of marketers. 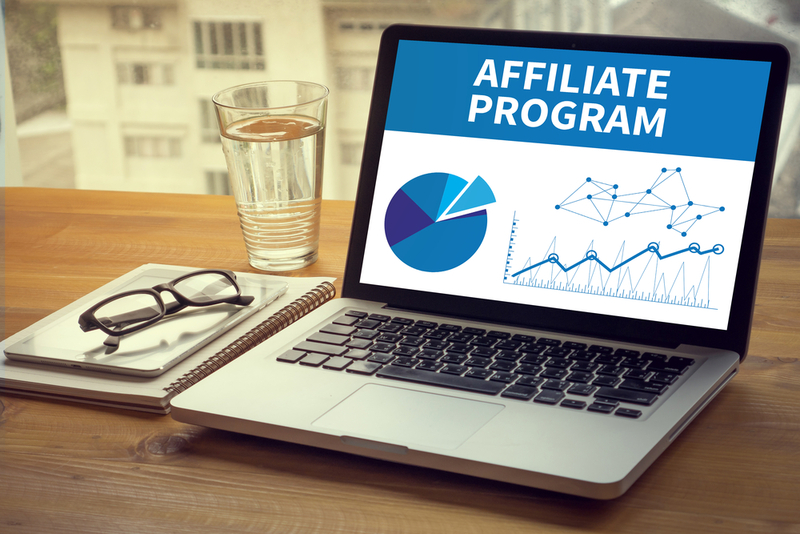 A traditional affiliate program focuses on marketers – these are people who are knowledgeable about different marketing methods and have the capability to promote your site. But a referral program focuses on customers – people who have bought from you and have liked your products enough to promote it to other people. The best part is that customers make the best affiliates. This is because their promotion is far from empty. It comes from their personal experience of your products and services. This way, their review is authentic. They have already tried working with you and they are excited to share that experience with other people. Once you get customer feedback to find your most loyal customers you have then potentially identified your top affiliates. The best part is that referral marketing operates on the idea of trust. This is because a customer is more likely to promote you to someone they know. This makes it easier to convert that person into another customer for they will be have a higher motivation to try your product compared to cold prospects. One of the classic affiliate marketing techniques in the book is to launch affiliate contests. They mostly do these in pre-launches but nothing is stopping you from launching a contest every month or every week just to encourage your affiliates to become a bit more diligent in promoting you. In fact, it’s effective. There is something about winning a prize that just attracts people. It worked for Bryan Harris of Videofruit in his quest to build his list and it can work for you too. But it will be more effective if the prize is attractive. This means that it should be worth the effort of signing up and promoting your products. Else, your affiliates will just look for other offers to promote. If you are out of ideas, one of the best prize for your affiliates is cash. As long as you give them an attractive amount and a deadline, they will be more excited to meet a certain number of sales for you. The best part is that it does more than get you sales. If a contest has top notch prizes, it may even be good for influencer marketing. Another technique that give you a leg up in the affiliate game is to use the 100% commission technique. You have heard about this from top affiliates and it just works. This is where you launch your entry products with 100% commission so that you can attract top affiliates to promote you. If you have been searching for some products to promote, you may have seen some products that have 100% commission. When I saw this, I looked into it because I was surprised how some product owners are willing to lose money just to have other people promote them. I found that the secret is in the one time offer (OTO). They launch their entry products for 100% commission. This attracts affiliates to promote their product. After that, they get the customers to their list and try to upgrade them into a one time offer. That’s how they make money. We cannot talk about affiliate marketing without touching funnels. This is the reason why I just can’t skip this part. I think that having other products in your funnel or even just one product upgrade or OTO is essential for getting that extra sale. And if you plan to share your earnings with your affiliates, you can set the commission from 25%-50% for your OTOs. I hope you have learned a lot about affiliate marketing from this article. This shows more than just misconceptions about affiliate marketing. It also showcased some techniques that you can use to get more sales.